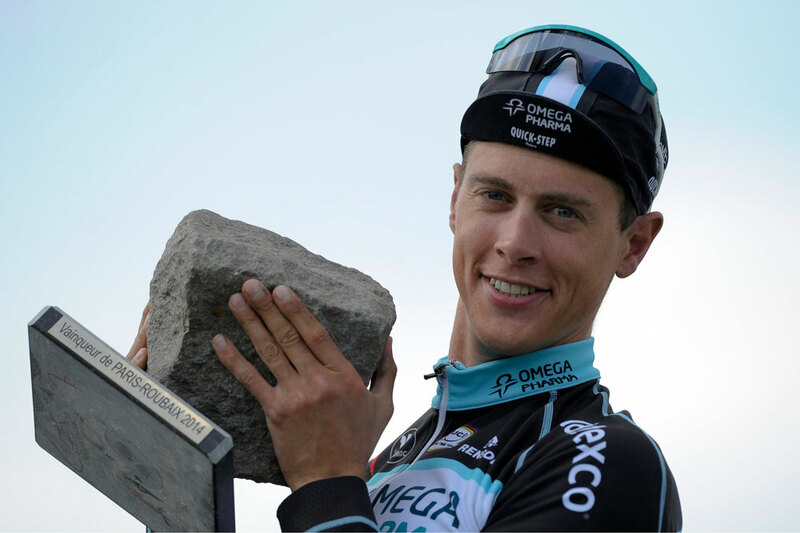 The cobbled classics seasons draws to an end in spectacular fashion this weekend with the oldest of them all – Paris-Roubaix on Sunday, April 12. Such is its history and prestige that whole seasons can hinge on its result – riders who have thus far failed to pull off a big win, like Sep Vanmarcke and Etixx-QuickStep in general, will have their entire spring re-evaluated with victory here, while those who have managed to win semi-classics, like Geraint Thomas, will be tinged with regret if they fail to replicate such form for this race. Then of course there are the riders who base whole seasons around this one ‘Sunday in Hell’. The headline name this year is Bradley Wiggins, who is in the same state of focused preparation that has brought him such success in the past, this time with the aim of becoming the first Tour de France winner to win Paris-Roubaix since Bernard Hinault. Wiggins will be up against the same riders who have been the protagonists throughout the spring, from the Etixx-QuickStep’s co-leaders Zdenek Stybar and Niki Terpstra, to Belgian stars Greg Van Avermaet and Sep Vanmarcke, to monument winners Alexander Kristoff and John Degenkolb. Yet to consider this race under the same category as all the other classics that have come before it this spring would be to fail to recognise its uniqueness. For one thing, it is held in France, across the border from Belgium where all the cobbled action has taken place thus far. Then there’s the nature of the cobblestones. 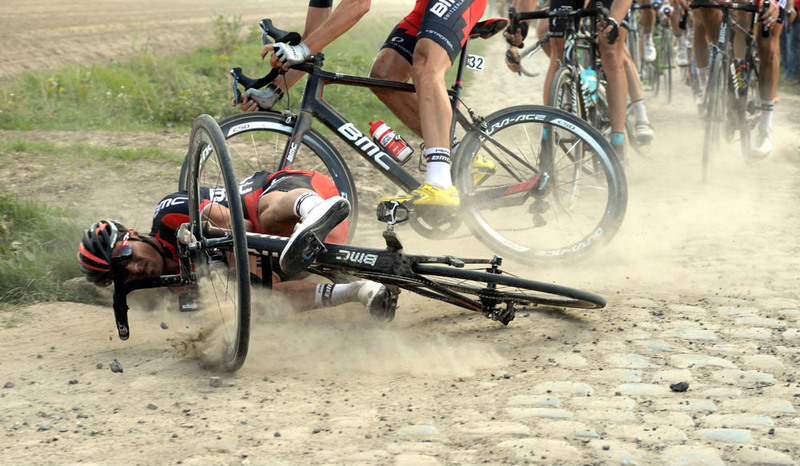 Whereas the races in Belgium are defined by short cobbled climbs like the Muur van Geraardsbergen, Kemmelberg and Koppenberg, the Paris-Roubaix pave consist of long, flat roads. This may ostensibly sound easier but, as suggested by the race’s ‘Hell of the North’ nickname, is in fact even more fatiguing for the riders. How come? Well, these cobbled sections are longer (all but three last over 1km), more uneven, and there are a lot more of them. A decent puncheur might be able to force their way up the bergs in the Tour of Flanders, but will need to possess expert bike handling skills and real power to navigate these nightmarish roads. The first of these 27 sections features approximately 100km into the race, and come thick and fast from thereon in. 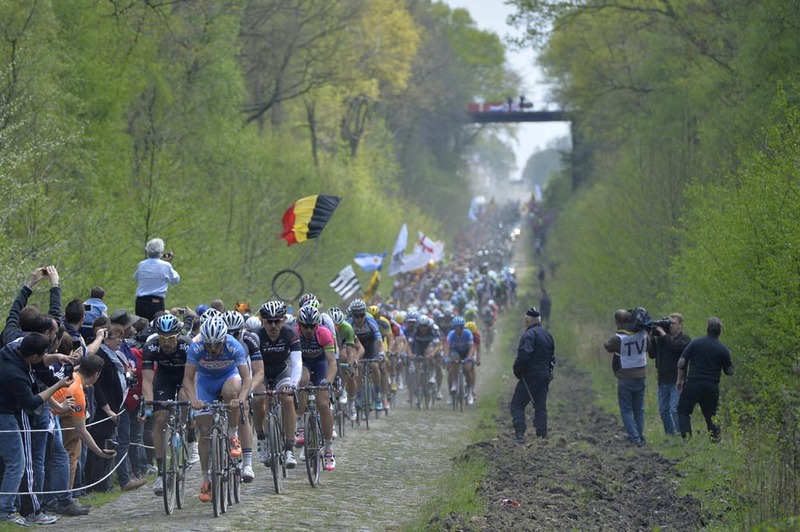 The key moment looks certain to be, as ever, the Arenberg forest, where 2.4km of horribly erratic pave just under 100km from the finish will force the race’s first major selection. Those who make the cut will from that point try to preserve as much strength as possible over the following pave and hope to avoid the misfortune off an ill-timed puncture that will inevitably spell the end of some riders’ chances. 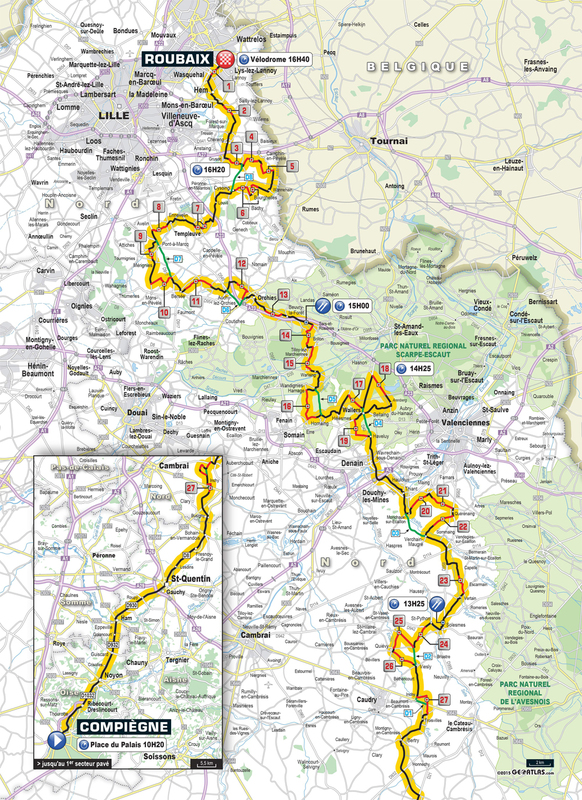 The 50km-to-go point – just before the Mons-en-Pevele, one of the most difficult sectors of the race – has witnessed race-winning moves in recent years through Fabian Cancellara in 2010 and Tom Boonen in 2012, but with those two superstars both missing with injury, it is unlikely that this year’s race will be decided so early. 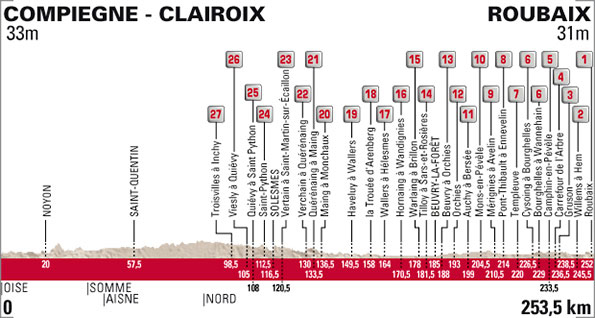 Instead, the fearsome Carrefour de l’Arbre looks set to be crucial. As the fourth-last pave sector, not only is it notoriously difficult but it is also situated close enough to the finish to be decisive winner. If even this sector can’t force a final selection, then the velodrome in Roubaix that has hosted the finish since 1943 will provide a thrilling climax. It may seem odd that a race featuring some of the toughest roads in the sport could come down to a sprint on the smooth surface of a velodrome, but such is the idiosyncrasies of Paris-Roubaix. British Eurosport will be broadcasting the race live from 11:45, with highlights later in the evening.